Death is inevitable, but some people don’t want to spend their eternity buried in a hole in the ground. We could always donate our bodies to science, or even to the <a href="http://www.bodiestheexhibition.com/newyork/" target="_blank">BODIES Exhibition</a>, but there are less grotesque ways to recycle yourself into the afterlife. Thankfully, there are many companies are dedicated to just that -- jump ahead for 6 creative alternatives for a green afterlife. <h3><a href="http://www.lifegem.com" target="_blank">Life Gem</a></h3> Your loved ones can forever be reminded of your sparkle, by having your ashes compressed into a <a href="http://en.wikipedia.org/wiki/LifeGem" target="_blank">LifeGem</a>. 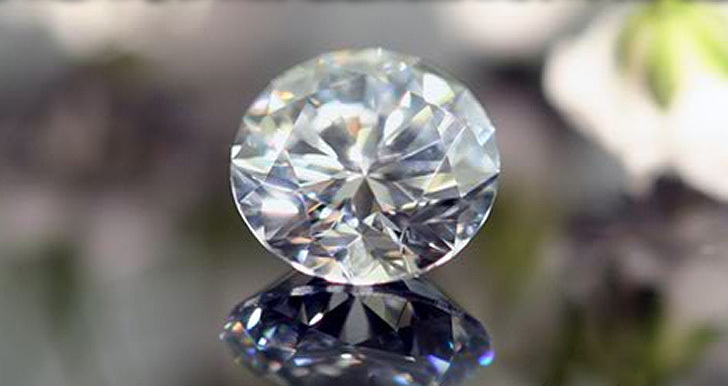 The “memorial diamonds” can be made into a variety of colors, and then placed into settings. Like cubic zirconias, the gems are made by compressing carbon matter -- but instead of compressed minerals, LifeGems are made by compressing you! The gems can then sparkle on a ring or necklace, and be worn next to your loved one’s heart. <h3><a href="http://www.andvinyly.com/" target="_blank">And Vinyly</a></h3> When life reaches the end of Side 1, wouldn’t it be great if you could just turn it over? 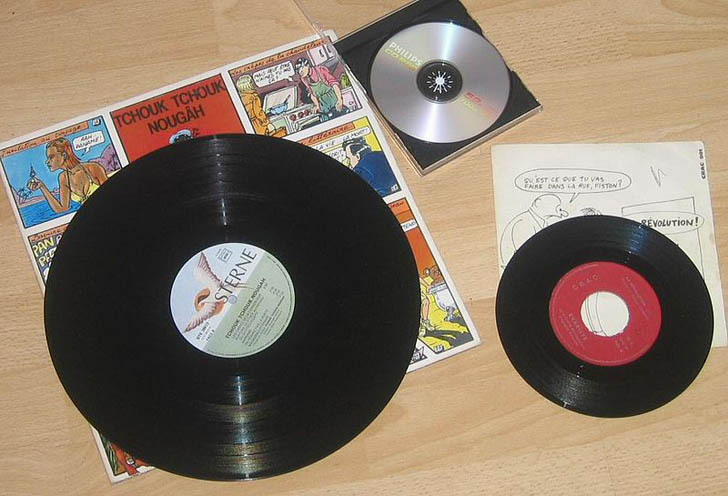 Music lovers can keep it spinning with <a href="http://www.andvinyly.com/" target="_blank">And Vinyly</a>, a service that presses your ashes into a<a href="https://inhabitat.com/paul-cocksedge-recycles-vinyl-records-into-low-tech-music-amplifiers/" target="_blank"> vinyl record</a>. Speak to them from beyond the grave, by recording a message, last will and testament, or your exit music. The service even offers an in-house band for custom written tracks! 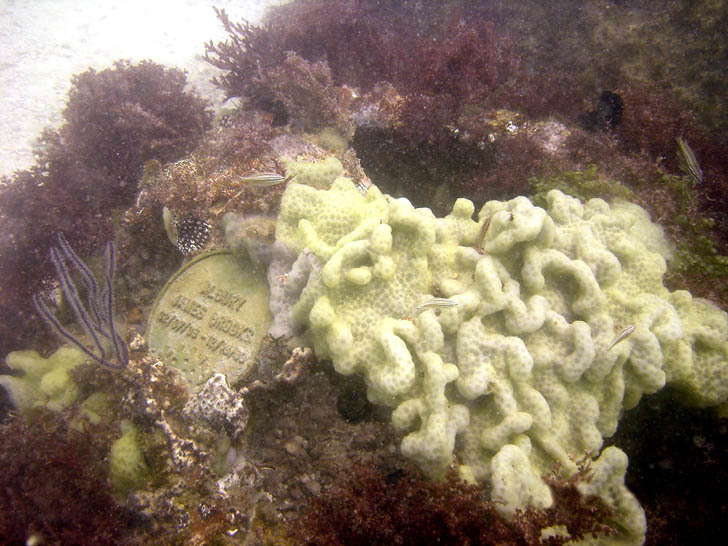 <h3><a href="http://www.eternalreefs.com/" target="_blank">Eternal Reefs</a></h3> Like marine life? Have your relatives recycle your body into a living reef, and you yourself can become a <a href="https://inhabitat.com/former-royal-navy-aircraft-carrier-will-be-turned-into-an-artificial-diving-reef/" target="_blank">life-supporting vessel</a> for all eternity. Eternal Reefs help restore the fragile ecosystems off our coasts, providing an environment that supports coral and micro-organisms. Your ashes are mixed with cement, then placed off the coast in a military style ceremony, supporting marine life for at least 500 years. <h3><a href="http://www.thoughtfulpractice.org/" target="_blank">Nadine Jarvis</a></h3> Nadine Jarvis has created the ultimate afterlife memento for authors and scribblers everywhere. 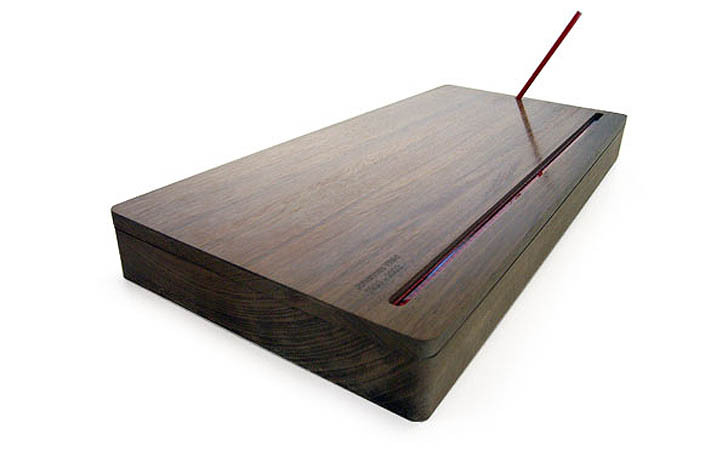 Coming in a flat wooden box, Jarvis creates a <a href="https://inhabitat.com/ingenious-students-make-a-machine-that-turns-art-school-waste-into-pretty-pencils/" target="_blank">set of pencils</a> from human ash ( a body yields on average around 240). The special container allows only one pencil to be withdrawn at a time. The pencil is sharpened on the side of the box, which holds the ash sharpenings. When the last pencil is used, the box becomes an urn, holding the remaining ashes. <h3><big><a href="http://www.williamwarren.co.uk/#" target="_blank">William Warren</a></big></h3><p> If you are one of those people who plans ahead, then <a href="https://inhabitat.com/artist-uses-3d-printer-to-turn-human-ashes-into-objects/" target="_blank">Shelves for Life by William Warren</a> are for you. While you’re still kicking, the shelves handsomely hold your books and tchotchkes that decorate your life. When your number is called, the shelves can easily disassemble into your final resting place. 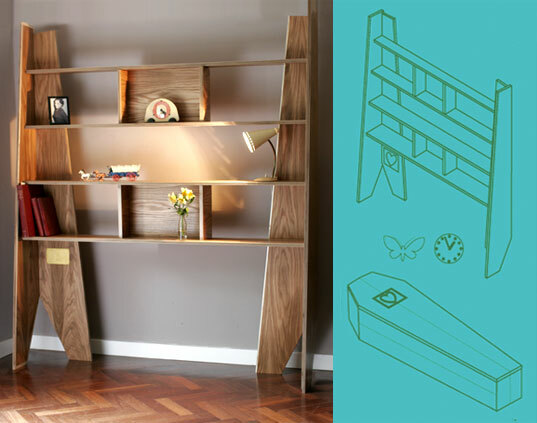 The upcycled coffin will save your grieving family money, and let you bring a little something familiar into the afterlife. <h3><a href="http://www.wiekisomers.com/" target="_blank">Wieki Somers</a></h3> <a href="https://inhabitat.com/ideo-and-lim-lab-want-to-use-3-d-printers-to-create-consumer-goods-from-bacteria/" target="_blank">3-D printers</a> are all the rage, making the replicator from Star Trek a reality. 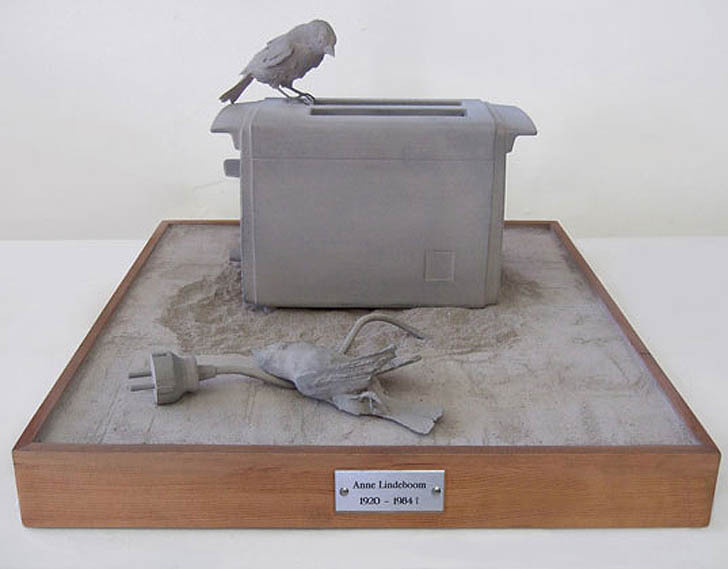 Using this exciting technology, designer <a href="https://inhabitat.com/artist-uses-3d-printer-to-turn-human-ashes-into-objects/" target="_blank">Wieki Somers</a> has made a comment on our attachment to objects in life by turning human ashes into objects after death. Spending our lives acquiring objects, it could seem fitting to become our favorites after death. Death is inevitable, but some people don’t want to spend their eternity buried in a hole in the ground. We could always donate our bodies to science, or even to the BODIES Exhibition, but there are less grotesque ways to recycle yourself into the afterlife. 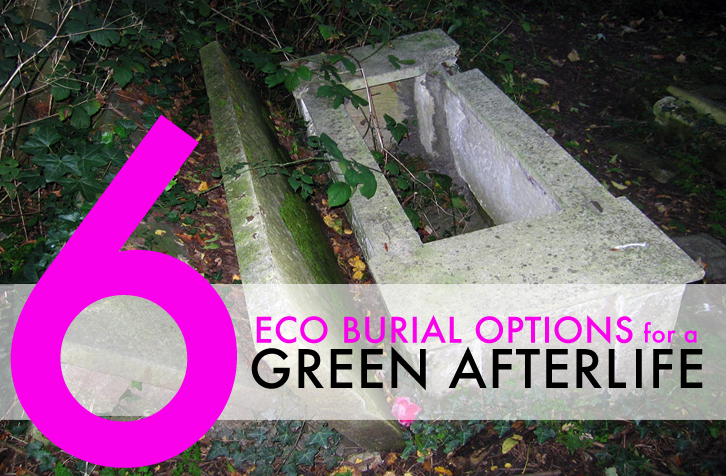 Thankfully, there are many companies are dedicated to just that -- jump ahead for 6 creative alternatives for a green afterlife.